Two evolutionary lines are available for spiritual growth and learning in this universe, both are equal. 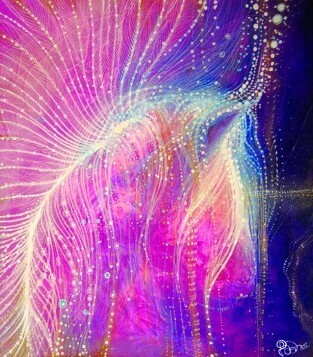 One way is learning through the subtle energy angelic kingdoms. 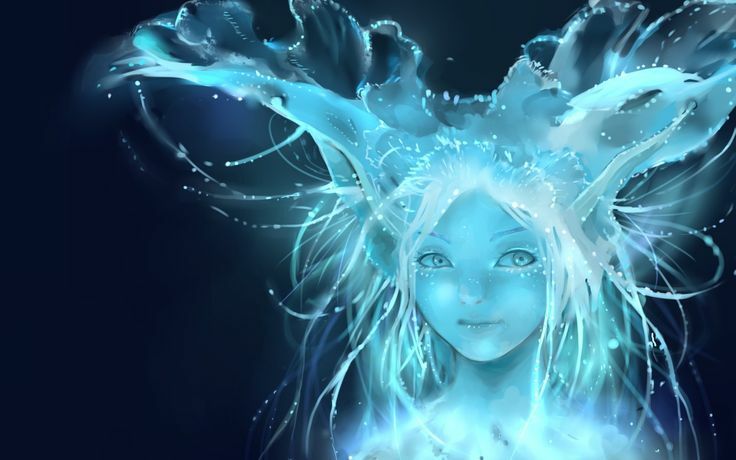 These worlds consist of elementals, nymphs, undines, sylphs, salamanders, dragons, giants, pixies, elves, goblins, dwarfs, angels, fairies, divas, brownies, leprechauns, gnomes, unicorns, crystals, sprites, mermaids, pixies, imps, stone beings, wood nymphs and spirulites and others. For many humans, it is hard to comprehend the subtle and finer dimensions of light, colour and sound they experience. Little is understood of the immense gifts the fairy kingdom give us as they bring their great knowledge of manifesting energy into form, weaving sacred geometric blueprints from the archangels into the atomic lace of flowers, trees, plants and all exquisite forms of nature. Often misunderstood, denied and undervalued, the truth is there would be no planet without them. They also greatly assist with human children whom they love, and most babies, and often young children, can see them! The other evolutionary line is by incarnating in human and animal form. In highest truth, we are all multi dimensional beings, existing in simultaneous worlds of overlapping frequencies of light all in the one eternal moment. As angelic and fairy beings attain frequencies of the 5th dimension, they bring a great gift to the universe because their love remains unwavering, permeating time and space and assisting to keep the universe in a harmonious state. The gift they offer cannot be calculated, it is so vast. This is a sufficient contribution in itself. But there are some who graduate from this world and choose to undertake further learning that can only be gained from experiencing the human evolution line. The human experience presents many situations that only exist within the 3D dimension. Thus it attracts those who want an in-depth spectrum of all possible learning to be gained in the universe. I have encountered many of these wonderful beings. I’ve met and befriended many gnomes in human form, lovers of nature they are often content to walk a solo path or at least one that allows them freedom to be in a natural environment. Once I was touring overseas and a lovely gnome friend took care of my dog. I swear they spoke the same language and I had to give my dog the Star of Bethlehem Rescue Remedy upon my return, to help her over the loss of her great friend and frequent walker!! I find these beings usually have a gnome like appearance even when in human form. I’ve also met many angels and fairies. 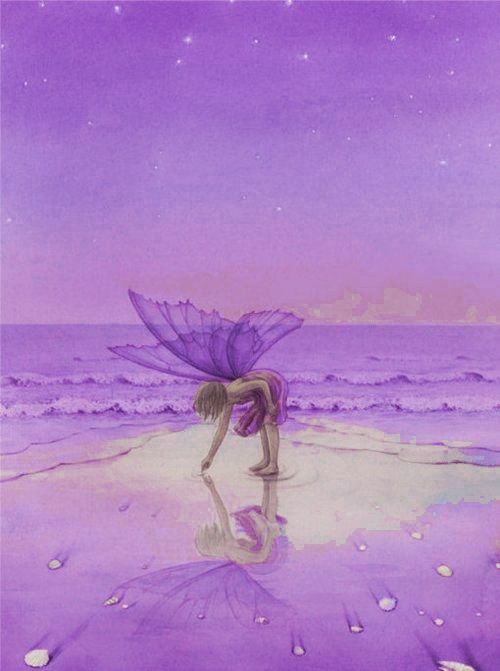 The fairies incarnated in human form, bring with them a heart full of love, innocence, playfulness and curiosity. They’re interested in little things and utterly fascinated in the play of life. Arriving in this state of love and innocence, they begin to walk the much harsher path of denser energy that encompasses the field of human third dimensional learning. 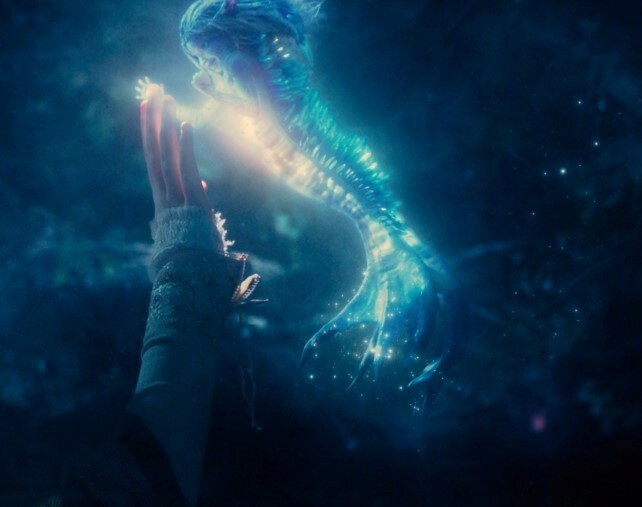 I continually observe the love, beauty and strength of those beings that, having completed their evolutionary learning in the subtle energy kingdoms of fairies and angels, then courageously choose further spiritual growth by moving to the human evolutionary line, adopting human form in order to gain greater wisdom, understanding and compassion. These beings have my total respect. Having evolved to a place of unconditional love, instead of continuing then on their own subtle energy learning path into higher still dimensions, they choose to undertake what can be a tough learning ground in order to serve the universe in an even greater capacity. A couple of weeks ago while I was in Hawaii on a journey, my wonderful, long time, best friend passed away at age 95. She was a fairy queen. Active and healthy to the end, she epitomized what we perceive of as a fairy queen. She was here to learn the human way, in addition to her main task of escorting fairies home. She created the most wonderful fairy garden in her home, a blaze of colourful flowers, bridges and ponds and areas to play with small table and chairs, etc. From the centre of the garden, arose a very high golden beam. This acted as homing beacon for fairies who were ready to leave, who gathered at her home to be taken on to higher places. The fairies would come to her garden and when certain numbers had arrived my friend would take them in the night to their home in the stars. She lived a few houses from me, so we often visited. Sometimes when I was there, hundreds of fairies would be present and other times just a few - depending on the timing cycle. I never did know how many fairies needed to arrive before she led them home. She built the most amazing large dolls house, perfectly furnished in a large scale setting, with wallpaper and furnished with little lamps, beds, kitchen utensils, sheets and cushions. We often went shopping together for bits and pieces for her fairy accommodation. She left her bedroom window open every night to allow special fairies to come into her home to sleep in the dolls house. Some years ago, she decided to sell her home and buy one closer to her children. As she told me her plan, I could feel some agitation among the fairies. 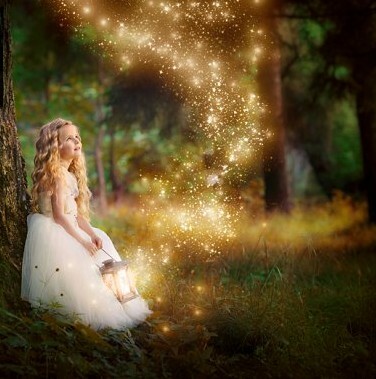 I suggested to her that when her home was sold and while she was creating a new space for them in her new home, the fairies could stay with me in my special private sanctuary in my garden. I knew they’d be content there as it was quiet and private with lots of sacred stones and flowers and greenery and a 9 foot pyramid I’d made with hundreds of small quartz crystals in a 12 pointed star set in the ground. 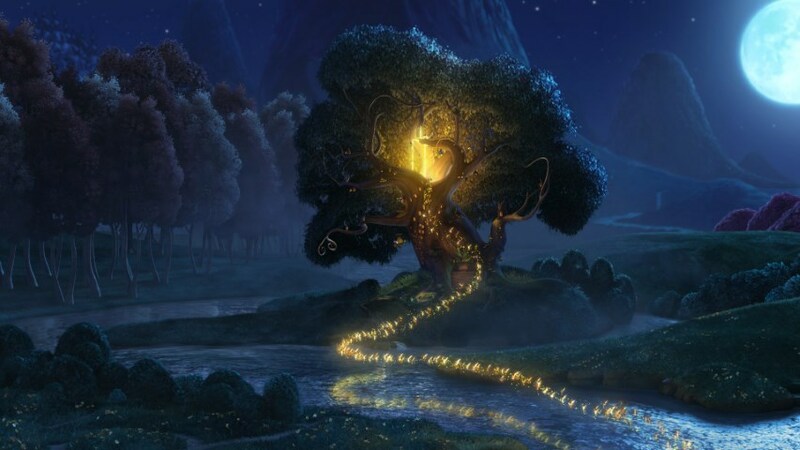 I suggested this plan to the fairies, assuring them I would not enter the sanctuary space as long as they were there - and that I’d let them know when their new garden was ready. They did come to stay with me. It was wonderful. For a couple of months I had hundreds of fairies living at my place, often coming out of their sanctuary to sit in my huge ancient oak tree or the plum tree that still bore fruit. I could feel the trees zinging with energy and could hear what appeared to be lots of tinker bell chatter and giggling. Occasionally, a fairy would come into my kitchen and I had one beautiful experience when a little fairy, maybe nearly 3 inches high with tiny double wings, sat on my shoulder. I almost stopped breathing so as not to disturb it. I spoke to my fairy queen friend after she departed her body. She is shining bright and ecstatically happy being back with her fairies. Interestingly, I had to wait to talk with her, until she had fully incorporated back into her fairy kingdom. It took about 2 days for that to occur. Normally I am able to contact friends immediately they transition over - but not if they are a fairy queen, it seems! I found the fairies to be fragile creatures and a little nervous around humans. Hardly surprising that they are wary of us, as we tend to tramp around, barely aware they may be underfoot. I recall being at Torc waterfall near Killarney in the Ring of Kerry in Ireland, a beautiful place, thick with trees and moss covered ground, where I felt I dare not take a step as there were so many fairies present. It’s not easy to transition from a subtle kingdom to a human one, make no mistake. Even the solidity of a human body is difficult after much lighter frequencies of the subtle energy worlds. Additionally, they have to comprehend the incredible array of interaction and game playing that runs through every activity and level of human society on Earth. Needing to understand that the whole human platform is a mirror reflecting back lessons to be learned (lessons often ignored by humans until the lesson begins to impact as physical pain on their body) they are confronted with solidity beyond their understanding. 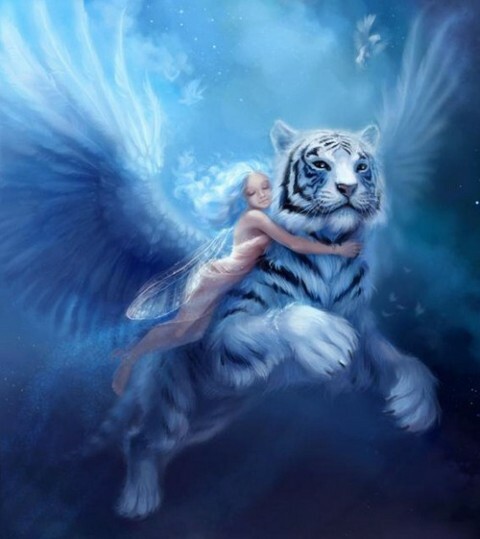 These angelic and fairy beings, so used to the gentler softer energy of their previous almost transparent world, can find the 3D world a harsh place to be. Adopting human learning is a great leap for them and they know that this may take time to achieve. In order to ensure they continue to contribute to the planet as they go about the business being a student of human life, they continue to emanate their love across the world. Based in the heart, these beings are drawn to offer service in places where their love can best serve. This same situation applies to those Lightworkers who entered their incarnation on the Ray of Love. I will explain that. Prior to incarnating, each person chooses a specific Ray and to reflect the spiritual quality of that Ray throughout the incarnation. The colours of the Rays match the colours of the Rainbow. All Lightworkers on Earth are on at least one colour Ray, although up to 4 can be held. The 7 Rays are: Divine Will (Service), Love, Wisdom, Truth, Purity, Devotion, and Freedom. Very loving people are likely to be on the Love Ray, which is known as the 2nd Ray. In regard to emanating love, they are similar to the fairies and angels who become humans. They both carry immense love and both groups are drawn to heart based groups, events, and journeys, such as those conducted by Patricia Cota Robles. They know they can contribute greatly by spreading their love while continuing to expand their human learning experience. All of us are drawn to people, areas, events, groups, activations, etc. where we can best use the skills and gifts we’ve brought to Earth. And of course, all of us are spreading love and light also. However, if, for example, you entered on the Truth Ray (4th Ray) your key focus would be on reflecting Truth as a spiritual quality. These people are quick to note anything that is not true. Being on the Truth Ray, they understand only truth will transmute negative energy. That is why it is so important that if we receive something intuitively to tell someone else, we don’t change it. Changing it because we think the person may not be able to accept it the way it is, alters it from a truth and doesn’t help at all. Incidentally, with the increasing vibration of Light on Earth, 5 new colours/Rays have been added to the light spectrum. These are Aquamarine, Magenta, Gold, Peach and Opalescence. By the way, the angelic and elemental kingdoms on Earth are assisted by Archangel Michael of the 1st Ray. Slowly angelic beings adapt to human life and begin to understand the human way and see the immense spiritual gifts that can be learned through love, joy, compassion, deep feelings of emotion, magical moments, friendship, loyalty, trust, humility, motivation, determination, enthusiasm, helping, integrity, truth, heroism, companionship, courage, social interaction and dependence, decisions, non attachment, courtesy, humour, faith, sensitivity, relationships, inspiring others, discipline, kindness, practicality, accountability, change, understanding, silence, goodwill, generosity, awareness, acceptance, tolerance, innocence, flexibility, forgiveness, happiness, modesty, respect, positivity, selflessness, right action, maturity, co-operation, devotion, determination, perseverance, power, creativity, affection, aspiration, care, thoughtfulness, freedom and non judgement. As their learning grows, they are able to contribute a more balanced intuitive wisdom, understanding both sides of the balancing scale. They can offer greater insight into situations they are confronted with, ultimately assisting human society to greater awareness. Sometimes an angelic being reaches a stage in their human learning where they’re content with the learning they’ve gained so far and they return to their subtle energy learning kingdom. Others may find the human path too harsh and return to their softer world. But many carry on to the end of the human incarnational learning. This allows their love to be combined with a wide spectrum of wisdom and understanding and offers great assistance to humanity and to the universe. God bless all from these kingdoms who undertook the challenge of additional learning. They are each at different stages of their human learning and experience, as are we all. While recognising their great strength, let us be aware of the immense challenges they face and bless their curiosity and pure innocence. Their presence is a great gift to us all; continually reminding us that love is indeed, the answer. And God bless the Light force on Earth who had the love, care, courage and fortitude to step once again into a third dimensional world to restore the balance of Light on Earth, allowing her Ascension to the Stars.